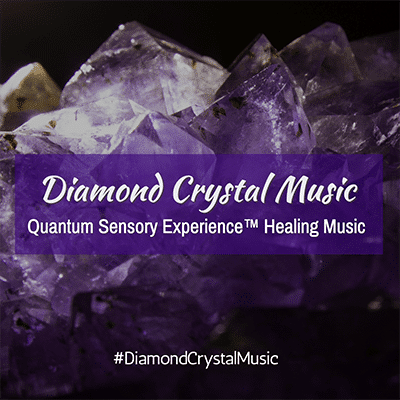 I am excited to announce that the new website for Diamond Crystal Music (www.diamondcrystalmusic.com) is finally live! The online collection has grown to now include 51 Quantum Healing CD titles that are ready to ship worldwide. In addition you will find many hours of educational video content on several different topics, including Health and Disease, Birth of the Universe, Mind Games, and many more. The longer classes have been broken into parts for easy viewing. CD’s previously only available at my classes are newly released and now available for online purchase. Every CD title has an overview description, a comprehensive list of benefits, detailed information, a sample audio file, and photos of the front cover, inside tray information, disc and back. There are also reviews and individual recorded videos describing benefits and uses for each quantum healing CD. But wait – there’s more! If you are among those cruising to life in a digital lane, all products are now offered as digital downloads in the .mp4 format. (These files require .mp4 or an ALAC Apple Lossless player such as iTunes or Media Player Lite.) Also be sure to Follow Us on Facebook for even more information and education! What’s better than that you ask? Special Offers and Discounts! With our CD of the Month (currently Divine Unfoldment) and various Bundle Deals, such as Relationship Bundles, Self Realization Packs, and Prosperity Super Bundles, we hope you find our online ordering process easy to use! Be sure to use the ‘add to favorites’ and ‘search’ features to easily find what you are looking for and notice that the site is easily translated into 34 different languages. There will never be advertising allowed on this site! Classes are my gift to humanity. When you watch a free video you will not have to wait for an ad!! AND you will not have to “Login” or create a “Password” to access the site or to purchase products. However if you wish to have your own personal account that automatically keeps track of your purchases, dates, etc. you do have that option. Lastly, we invite you to formally join our E-Updates Email List for announcements of new CD’s in the works, new classes, sale specials and updates. With respect to your privacy, we are not assuming you’d like to continue to receive these updates. If you choose to do so, please opt in by submitting your email address in the signup form on the bottom of any page or by clicking here. Shad is a psychoenergetics scientist, a musician and a Body-Mind-Consciousness remote healing practitioner. He is the founder of the Holistic Research Institute, a teacher of Advanced Holistics and Spiritual Psychology, and the developer of the Quantum Sensory Experience™ proprietary healing technology used for these music CDs. He is educated in electronic engineering, music theory, quantum mechanics, metaphysics, and parapsychology.